Bachelor degrees in Biological Sciences and Agronomic Engineering at University of São Paulo State, master's degree in Animal Production at University of São Paulo State and doctor of science in Agroecosystems Ecology at University of São Paulo State. Worked as Environment Manager in multinational company. Was researcher at the Institute of Animal Science of APTA - Sao Paulo Agency for Agribusiness Technology between 2007 and 2010. He is currently a researcher at Embrapa Southeast Livestock in São Carlos, São Paulo. Has experience in Animal Science with emphasis in Sustainable Production Systems mainly in methane emissions and mitigation strategies. Participates of the Technical Committee in the Ministry of Science, Technology and Innovation - MCTI for the preparation of the Brazilian National Communication of Greenhouse Gas Emissions to the UNFCCC. Had co-lead the Technical Advisory Group on large ruminants of the FAO/ LEAP - Livestock Environmental Assessment and Performance Partnership. Participates of the Steering Committee of the LANDMARK Research Network of the European Union. Since January 2014 holds the position of Assistant Director of Research and Development at Embrapa Southeast Livestock. Marta Alfaro Valenzuela joined Agronomy in 1990. After graduating in 1995, she joined INIA Remehue and in 2002 completed studies for her Ph.D. in soil fertility at the University of Reading, England. Her main research interests are related to the assessment of nutrient cycling in cattle grazing based systems with an emphasis on nitrogen management and its implications for the quality of the environment (soil, water and air), including climate change. This has enabled her to form a working group with national and international leadership. In her career, she has also been president of the Chilean Society of Animal Production, part of a group assessment Fondecyt, and has received significant scientific awards and recognition amongst her peers. 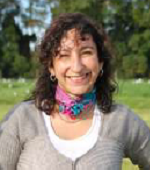 Currently she is the international representative from Chile in the field of environmental sustainability of livestock (International Dairy Federation, IDF, PROCISUR and Global Research Alliance GRA) organizations. Graduated in Agronomy at Univ. Nac. Del Sur, Bahía Blanca, Argentina. MSc. in Agricultural Sciences and Animal production at Univ. Nac. Del Sur, Bahía Blanca, Argentina. Advisor to Dr. H. Laborde. PhD in Ruminant Nutrition at Kansas State University, Kansas, USA. Department of Animal Science – Advisor to Dr. R. C. Cochran. Researcher at the National Institute of Agricultural Technology (INTA) – Ruminant Nutrition - EEA Santiago del Estero. 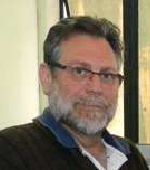 He is also Professor of Animal Production at the Universidad Nacional de Santiago del Estero. Researcher – National Council of Science and Technology (CONICET). Director - Collaborative Postgraduate Program – Master of Science in Animal Production–National University of Santiago del Estero (UNSE) – National University of Tucumán (UNT) and INTA. Coordinator - Basic Nutrition Section of the National Program of Animal Production (PNPA) – INTA – Feeding beef cattle (Alimentación de Bovinos para Carne). Graduated in Animal Science at UNESP, master's degree in Animal Science from Universidade Estadual Paulista Julio de Mesquita Filho and a PhD in Animal Science from the Federal Univ. of Minas Gerais). She is currently Professor of the Universidade Estadual Paulista Julio de Mesquita Filho. At UNESP, from 1995 to 1997, she was coordinator of the undergraduate degree in Animal Science- 2001-2004, coordinator of the graduate program in Animal Science. From 2008 to 2011, she was Deputy Coordinator of Animal Science and Fisheries CAPES; 2011- 2014, coordinator of Animal Science and Fisheries CAPES. 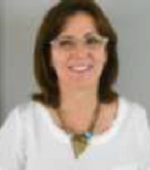 From 2007 to 2010 she was a member of the advisory committee of CA-ZT Animal Science, CNPq; and from 2007 to 2008, she was treasurer of the Brazilian Society of Animal Science (SBZ). She is currently a member of Agronomy Area Coordination and Veterinary as well as the Scientific Board of FAPESP since July 2007. She has experience in Animal Science with emphasis in Food Animals' rating, mainly in Ruminant Nutrition area. Graduated in Agricultural Engineering from the University of São Paulo (1981); master's degree in Animal Science from the Federal University of Minas Gerais (1985), and PhD in Nuclear Technology from the University of São Paulo (1992). 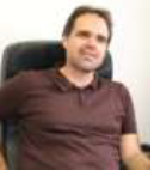 He is currently an Associate Professor (MS-5/3) at the University of São Paulo, research project coordinator at the International Atomic Energy Agency, a researcher at the Foundation for Research for the State of São Paulo, the National Scientific and Technological Development Council and Higher Education Personnel Improvement Coordinator. 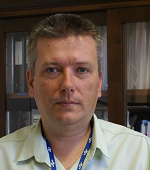 He is an advisor to the Graduate Program of CENA / USP and post-doctoral supervisor at the University of Sao Paulo. He has experience in Animal Science with an emphasis on evaluation of feed and quantification of bioactive molecules aimed at efficient use of nutrients and reduction of enteric methane in ruminants. Graduated at Medicina Veterinária from Universidade Federal de Minas Gerais (1999) and ph.d. at Veterinary Medicine from Universidade Federal de Minas Gerais (2003). 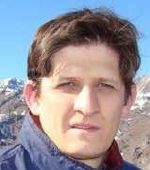 He has experience in Animal Science, focusing on Evaluation, Production and Conservation of Forage Plants, acting on the following subjects: nutrition, ruminants, silage, sunflower and gases emissions. Graduated in Animal Scientist (Agrarian and Veterinary Sciences of Jaboticabal - UNESP), Master in Agronomy (Energy in Agriculture) (Agronomic Sciences - UNESP) and Ph.D. in Environmental Sciences (Sao Carlos Engineering School - USP). Researcher at Brazilian Agricultural Research Corporation - EMBRAPA Southeast Livestock. Develops researches in animal waste management, with emphasis on dairy and beef cattle. He is currently working on the following topics: environmental impact of animal waste on water resources, water management of farms, watersheds, and water footprint. 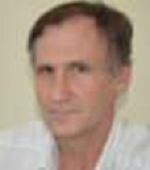 Postgraduate Professor at Veterinary Medicine and Animal Science Faculty/Sao Paulo University (USP) Livestock Director of the Brazilian Society of Agricultural and Agroindustrial Waste Management (Sbera).